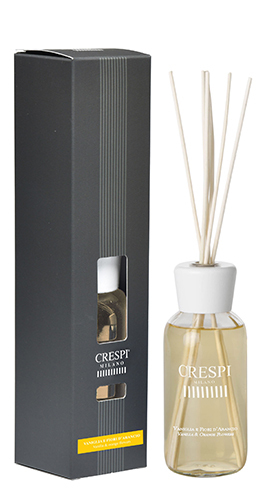 The reed diffuser 250 ml is perfect for enviro­nments from medium to medium/large sizes. Advise for use: remove the safety caps and insert the sticks in the fragrance. Turn upside down the sticks every 2/3 days for a perfect diffusion of the fragrance.